It’s just one-degree, right? So, how big a difference can it really make? There’s a place in the world where we can already look at for an answer. 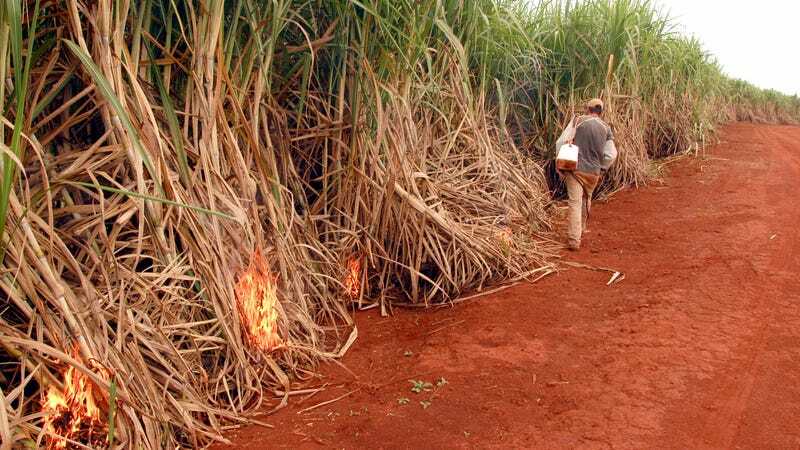 A new study in Nature Climate Change looks at Brazil’s Mato Grosso state, a rising agricultural powerhouse in the country and in the world. (Ten percent of all the world’s soybeans already come from there.) It’s also an area that has already seen temperatures quickly rise—and will probably keep right on seeing it, by up to an extra 2 degrees by 2050. Researchers at Brown and Tufts took a look backwards at data since 2002 from the state to see what had already happened with climbing temperatures. What they found was that a single degree of temperature change came along with drops of 9-13% in crop yields of both soybeans and corn. But these yield drops sound higher than other climate change studies in the past. Why? Because it’s not just about what that change in temperatures does to soil and plants—it’s also about what that change in temperature does to our behavior. When conditions change, farms don’t just continue on their way, just as they always have. Farms are constantly changing, and farmers try to adapt to their current conditions in what they plant, how much they plant, and how often they plant. If things are bad enough, they may decide that it’s simply not likely enough to be profitable to plant certain things at all. That’s exactly what the data showed, when the researchers went into NASA satellite data for a closer look. Almost all of the drop in crop production (70 percent) wasn’t due to smaller yields, it was due to crops not planted at all. Of course, this is one case study in one very specific area—different areas will react to the rise in temperature differently and the researchers have already started talking about attempting a similar study inside the U.S. But there’s a larger lesson about climate that can already be stretched outwards. People sometimes scoff at the meaning of a one-degree temperature rise, saying that no one will really feel the difference between a 30-degree day and a 29-degree day. And that’s true in the moment—they do, from a weather-standpoint feel about the same. But it’s not about weather, it’s about what that rise in temperature does to the world around us, and—especially on farms where a single degree is enough to change how things grow—it’s enough to radically change how we live.